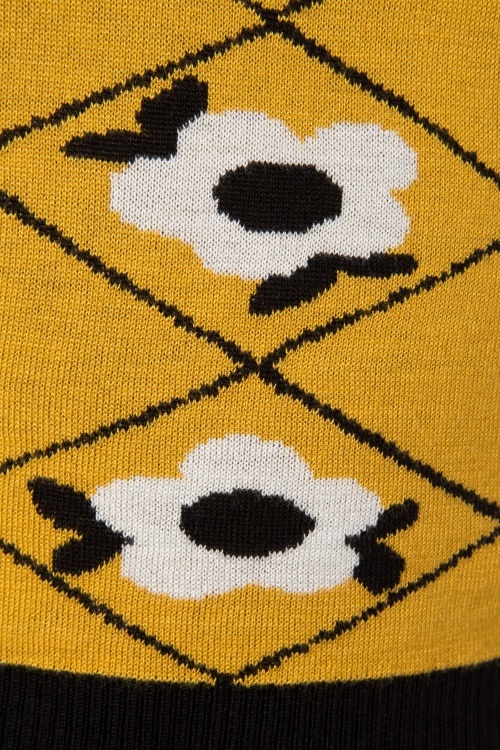 You don't need to worry about being a wallflower when you're wearing this 50s Clara Floral Sweater in Mustard! 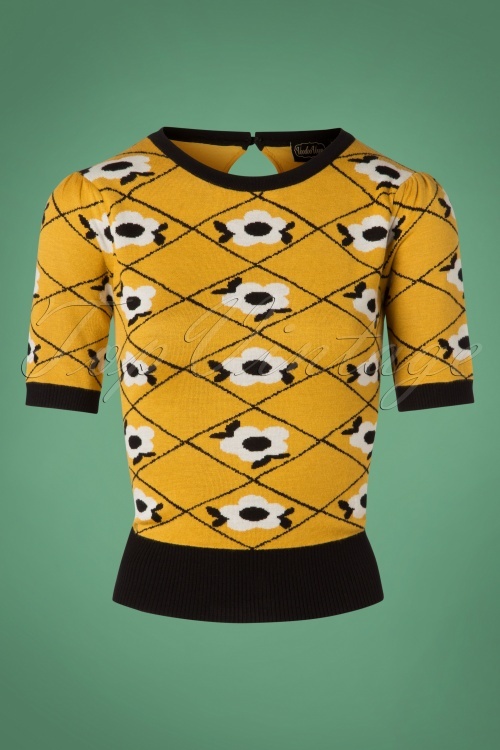 This short sweater has a round neck, puffed sleeves, a keyhole with a button detail at the back and features cute flowers in a diamond pattern. 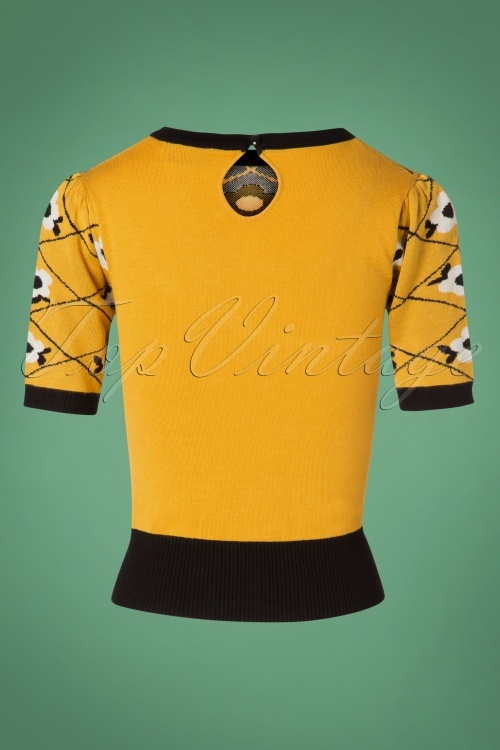 Made of a soft, fine knit, stretchy viscose blend in mustard for a lovely fit and finished off with black ribbed trim. 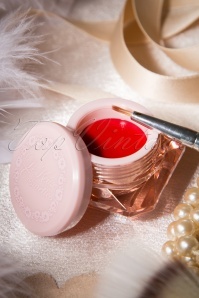 Elegant and playful at the same time, what else can a girl wish for? !